Eating out in Saint Petersburg is not problem with options available even for sophisticated tastes, including vegetarian and vegan. 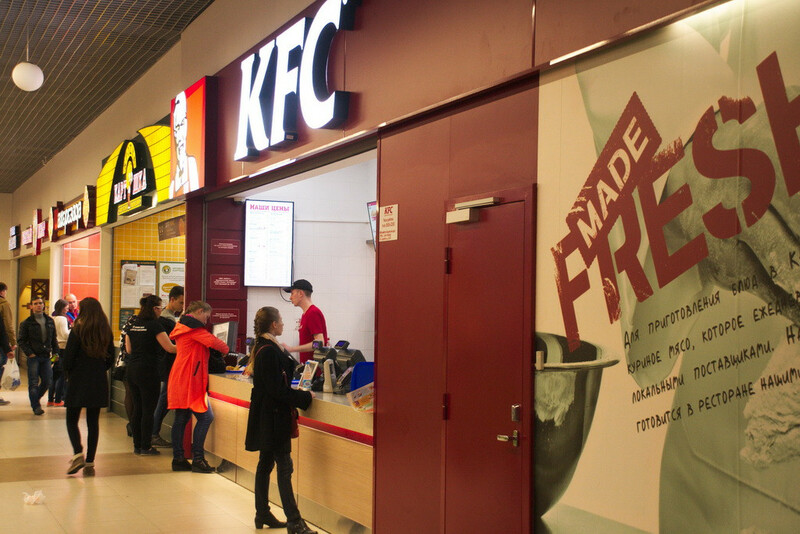 Many fast food chains outlets in the city center are open 24h. While our list of Russian cuisine restaurants includes upscale eateries, this overview is about chains both international and local ones. You will have no difficulties in recognizing the global brands, since they are just what they are like in other parts of the world. The sings of global brands are written in English. 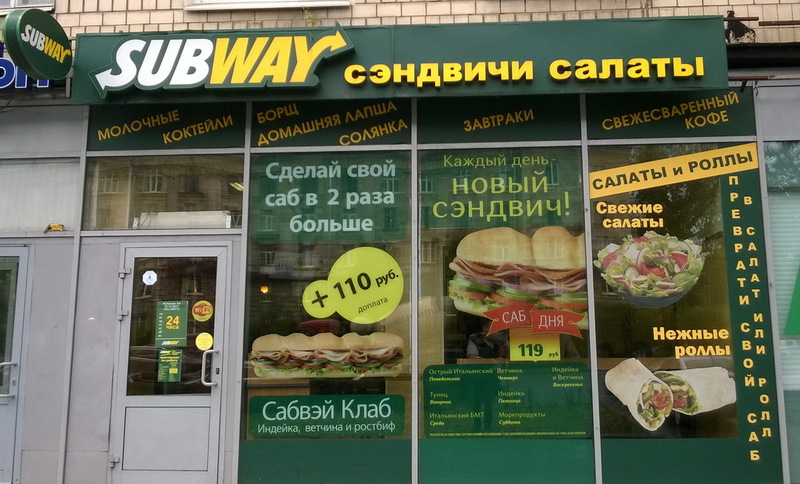 Unlike Moscow, St. Petersburg, especially the city center and areas around subway stations, is filled with eateries, most of them are quite affordable. The range of fast food choices is very wide, from vegetarian chains to burgers and from sushi to pizzas. 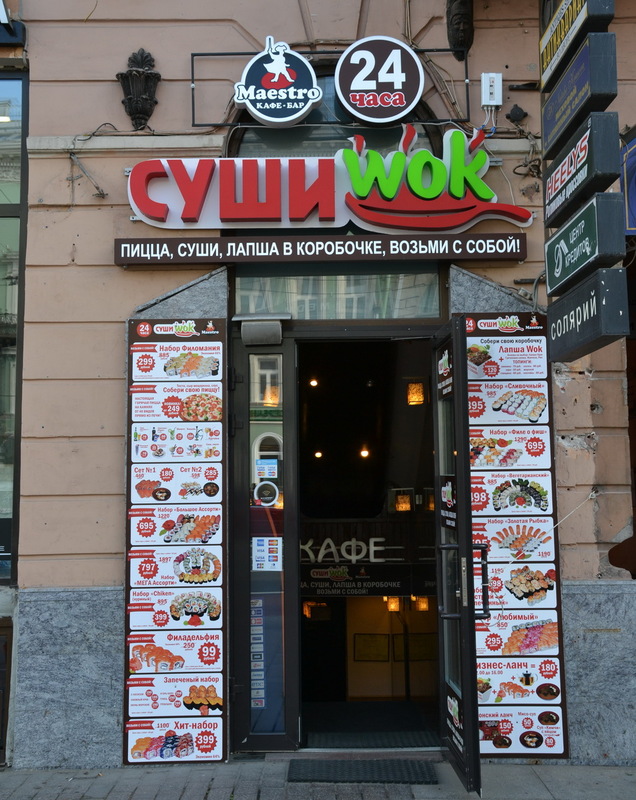 The most popular cuisines in St. Petersburg are Russian, American, or Middle Eastern (usually in the form of kebabs) and Japanese (or quasi-Japanese as true gourmets are claiming). What is absent here are Chinese and Indian chains. Average lunch price is 200-300 rubles ($2,5-4), though one choice of a dish + drink may set you back to just 150-180 rubles (about $2). In the city center eateries it’s common to meet English-speaking staff, though, of course, not always. As a rule, they are easier to be found at international brands like KFC and McDonald’s. If you are veggy, read our list of vegetarian and vegan restaurants and cafes in St. Petersburg. 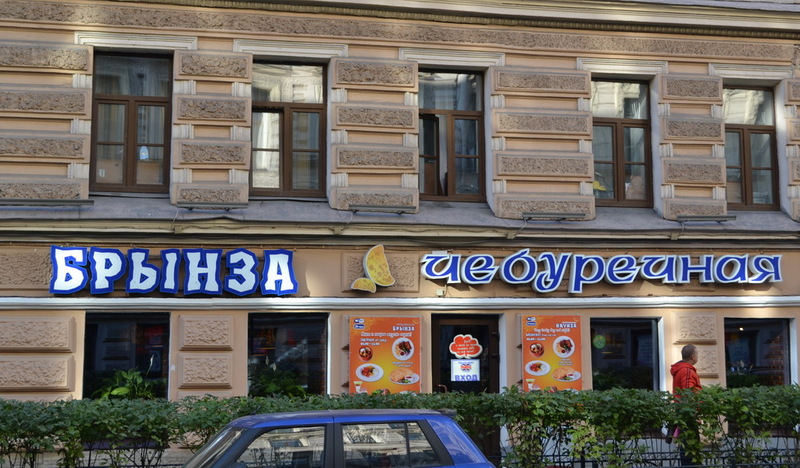 The easiest way to eat out on budget in Saint Petersburg is to go to McDonald’s or choose one of the eateries named Столовая Stolovaya (translated from Russian as Dining room). Столовая is not a chain, it’s just a common word for eateries of a specific kind with affordable prices. If you have any questions about St. Petersburg, ask us in the comments section.